EDINBURG — Sophomore Elijah Alexander hit a walk-off two-run home run to lift the UTRGV baseball team to a 5-4 victory over New Mexico State in UTRGV’s season finale on Saturday at UTRGV Baseball Stadium. UTRGV (23-31, 8-16 WAC) entered the bottom of the ninth trailing 4-3 before junior Anthony Gomez hit a leadoff single to right-center field. Alexander then took the first pitch he saw from Brock Whittlesey (3-4) over the wall in left field for his fourth home run off the season and his second walk-off hit of the year. 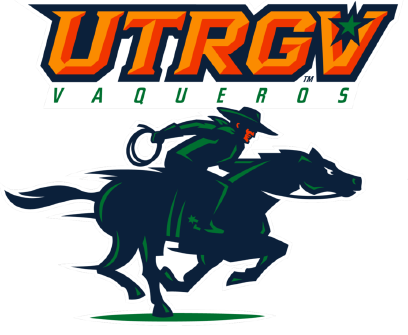 Prior to Saturday’s win, UTRGV was just 6-21 in its previous 27 games, including a 4-15 mark in the WAC to fall short of a conference tournament berth in the first season under coach Derek Matlock. UTRGV opened the scoring in the bottom of the third inning against New Mexico State (36-19, 17-7 WAC) starter Alex Pinedo. Alexander hit a triple to left field and came in to score on an RBI single by sophomore Coleman Grubbs. After an out and a walk to senior Ivan Estrella, freshman Zack Parks delivered an RBI single to center field, scoring Grubbs from second for the 2-0 lead. Junior Trevelle Hill made that lead last, carrying a no-hitter into the sixth inning. He finished with seven scoreless innings and gave up just one hit. UTRGV pushed its lead to 3-0 in the bottom of the eighth with an RBI single by senior Isaac Gonzalez to score Grubbs, who led off the inning with a walk. In the top of the ninth, New Mexico State notched a three-run triple from Nick Gonzales, and a throwing error on the play allowed him to score to give the Aggies the 4-3 lead. Freshman Max Balderama (2-0) earned the win after recording the final out of the top of the ninth.